Home » » FG drags Imo APC guber candidate, Uzodinma, Senator Oduah to court. FG drags Imo APC guber candidate, Uzodinma, Senator Oduah to court. 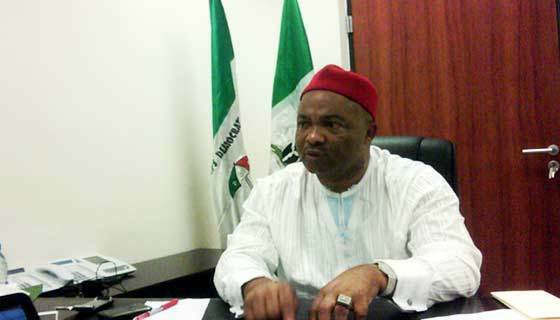 The Federal Government has dragged the factional governorship candidate of the All Progressives Congress, APC, in Imo State, Senator Hope Uzodinma to court. The Federal Government also slammed criminal charges against Senator Stella Oduah from Anambra State. This is following their alleged refusal to declare their respective assets. The lawmakers are to appear before the Abuja Division of the Federal High Court to defend the charges filed against them by the Special Presidential Investigation Panel for the Recovery of Public Property, SPIP. Oduah and Uzodinma who are serving members of the upper legislative chamber, will each answer to a two-count charge that was signed by the Attorney General of the Federation and Minister of Justice, Abubakar Malami, SAN. The charge against Senator Oduah was assigned to Justice Ijeoma Ojukwu, while Senator Uzodinma, will appear before trial Justice Babatunde Quadri. For Senator Oduah, the two-count charge marked FHC/ABJ/CR/110/2018, read, “That you, Senator Stella Adaeze Oduah (F) on or about 29th day of March, 2018 being a public officer with the National Assembly Abuja, within the jurisdiction of this honourable court, committed an offence to wit: refused to declare your assets without reasonable excuse and upon notice to declare your assets before the Special Presidential Investigation Panel for the Recovery of Public Property, Abuja contrary to and punishable under S. 3 (3) (1) (a) of the Recovery of Public Property (Special Provision) Act 2004.